When do our new classes start? Mainstream classes start in September and go through May. Next classes are starting September 25, 2018. Dress is casual, and refreshments are served. Come join us at the Harding Family Center! Click here to go to our Events page. Please note there are a number of "sub-headings" under the Events page. Click here for the March 2019 newsletter. Summer Events - Don't Get Left Out! Click here to go to our Summer Events page. 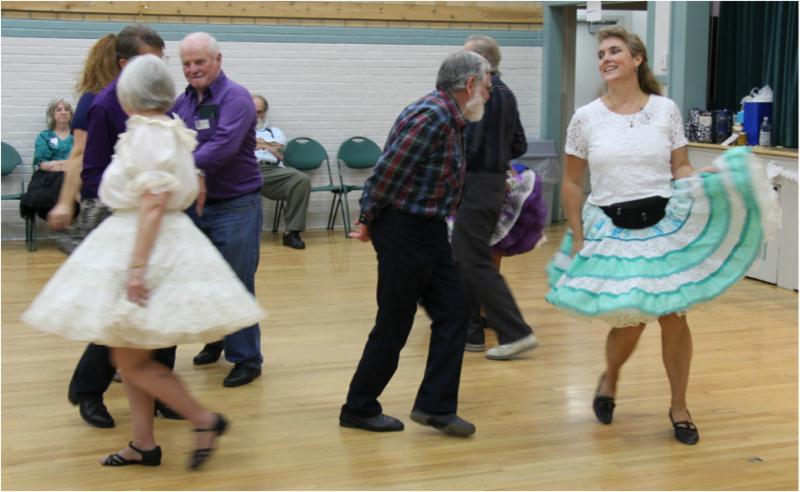 Want to Learn More About Square Dancing or Our Club? ​This is where we will post updates about upcoming dances, events, and cancellations.